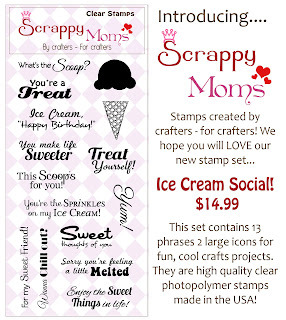 Anyways...today is Day #3 of Scrappy Moms Newly Released Stamp Sets. If somehow you've missed them, take a look down below. They are both Must Haves! 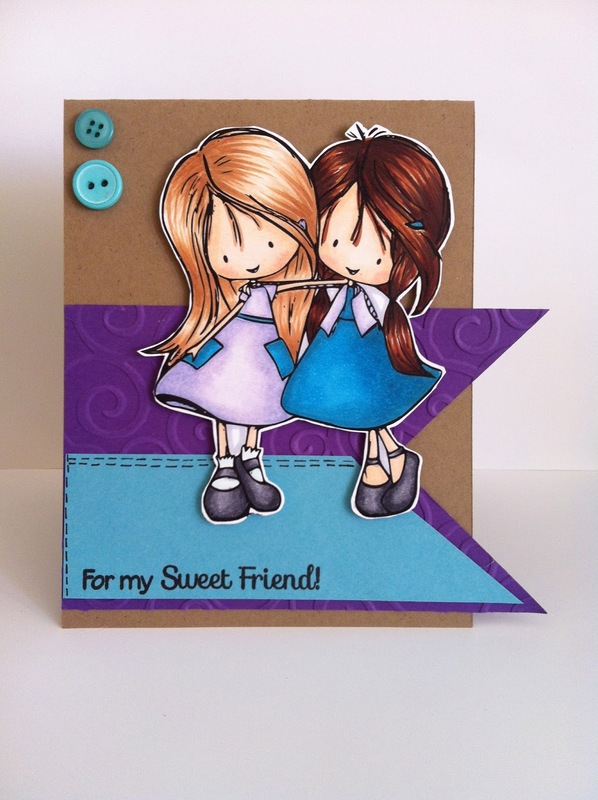 While coloring this Tiddly Inks Image, I was totally inspired by my great friendship with my crafting bestie Cristi. 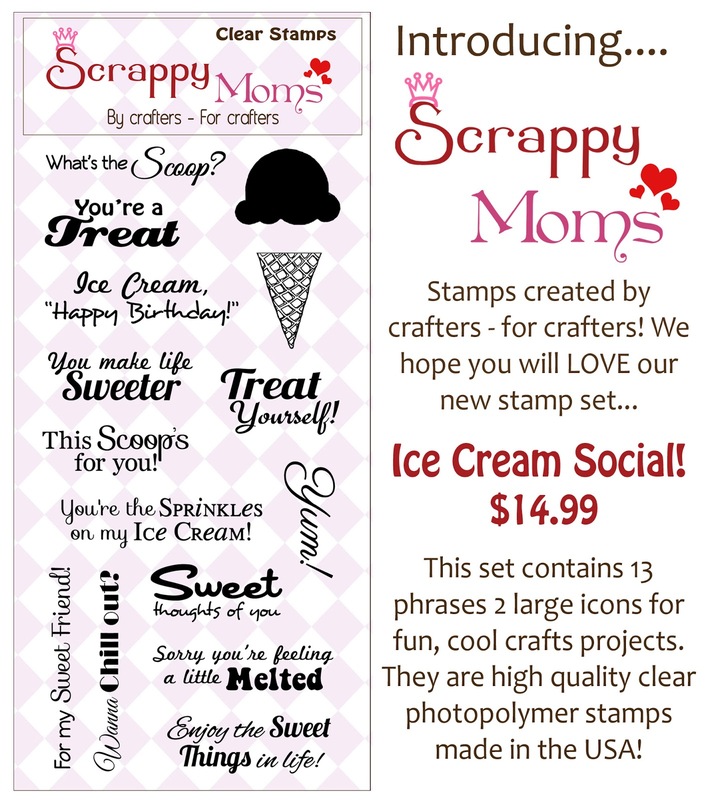 Some of you may know her better as Scrappin' 5 Little Cupcakes. Quite some time ago, I believe 3.5 years ago, she won a giveaway that I hosted and ever since then we have kept in touch just about every day and got the chance to meet once in person :) It amazes me how close we are!! So I colored the image according to us, one with brown hair and one blonde. 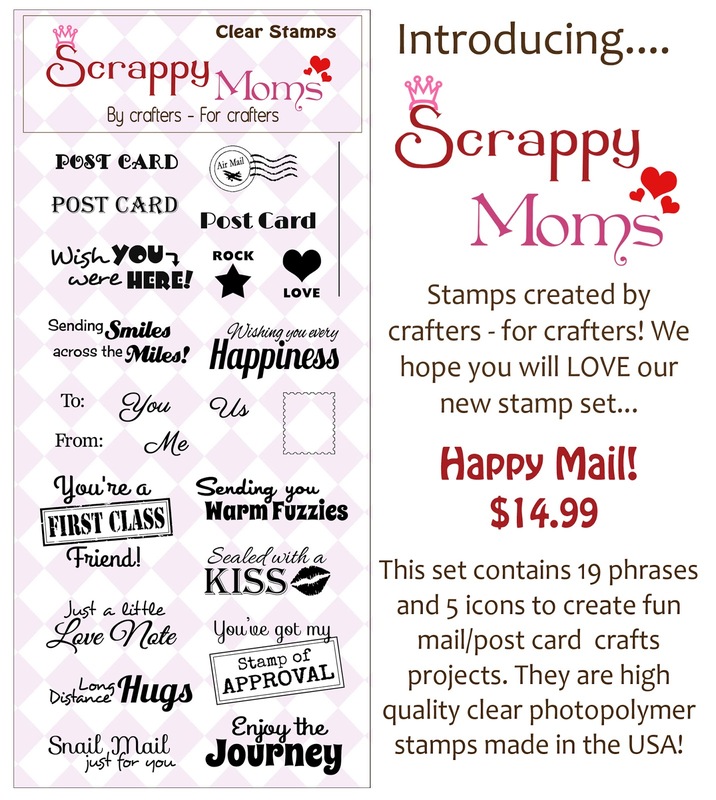 And I love when I get the chance to use scraps, I just hate to waste anything. So the banner was from a different project and I had a stripe of matching blue to go with the image. Paired that with a couple of Papertrey Ink Vintage Buttons and its this simple yet adorable card "For a sweet friend"! Hope you guys have enjoyed this release! 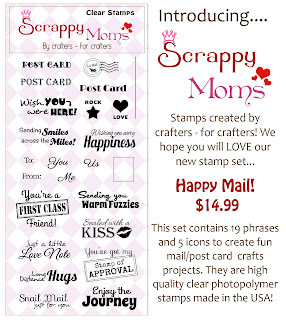 Be sure to check out the other Scrappy Mom Designers projects by clicking on their name on the right sidebar. Awe so sweet! Love you dear!